There's nothing I love more than a Bronzy glow in the summer. And the BB Cream from Bourjois is perfect for that. This has a kind of cooling, gel like texture that melts into the skin and leaves behind a skin kissed glow. 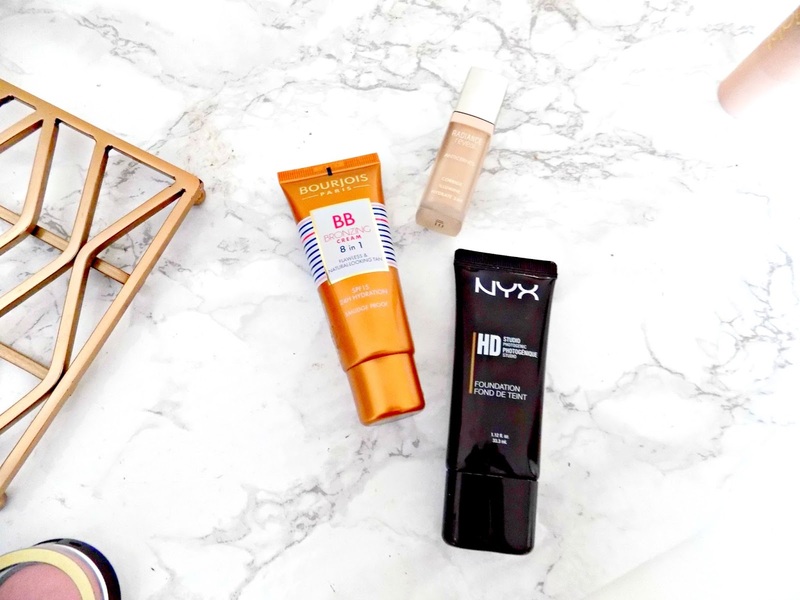 I don't use this has a convential bb cream though - it has pretty zero coverage - but as a primer this is fantastic! Its pretty smoothing and the Bronzy glow subtley shines through foundation. I've raved about this on many occasions and for good reason! Medium coverage, a nice glowy finish, good staying power and easy blendability, blurs imperfections is what this little bottle has to offer. This is a great drugstore foundation option and I actually prefer this over some of my much more expensive ones. See my full review of this here. To banish those dark circles a super glowy light refecting concealer is needed. This Bourjois one is one of the most glowy, highlighting concealers I've ever tried from the drugstore. Its super creamy and easy to blend, the coverage is ok, but I have really bad dark circles so I need some super duper coverage. But this is still a great option. This blush is so pretty. The shade 'Lovely Pink' is a beautiful, pale Pink with subtle shimmers running through it. It looks stunning on the cheek and its perfect for achieving a glow. I'm not quite sure the whole point in the Triple Baked thing, but it sounds impressive. 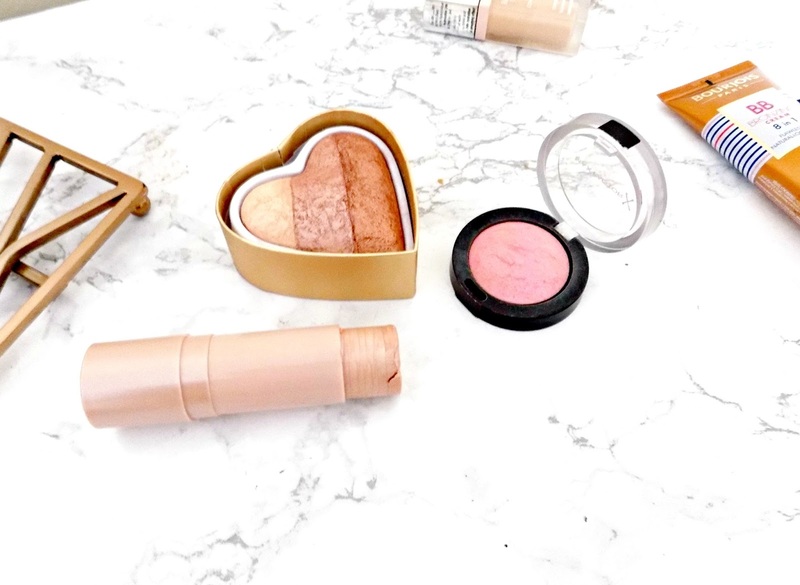 The Bronzer itself is soft, finely milled and blends with ease. The shade 'Hot Summer of Love' is perfect for summer time because it has a Red / Pinky tone to it - the kind of Red you get from a natural tan. So the beautiful, skin kissed look is only a few brush strokes away with this beauty. This is the best highlighting palette the drugstore has to offer! It has three powder formulas and one cream. The powders are beautiful - finely milled and without a hint if glitter in sight. They leave behind the most gorgeous glow. If you want a new highlighter I can't recommend this enough! For those who prefer more of a cream formula this is great! Its a cream, but still kind of dry at the same time, which makes it easy to work with. I like to dab it on and blend it out with a stippling brush. It leaves behind a lovely, pearlised highlight that catches the light beautifully. Have you tried any of these? 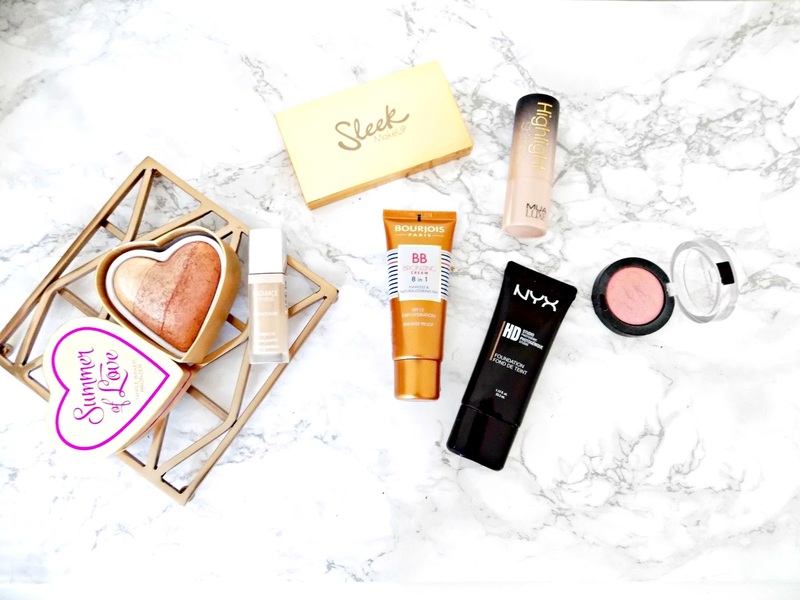 What are you're favourite affordable products for achieving a glow?